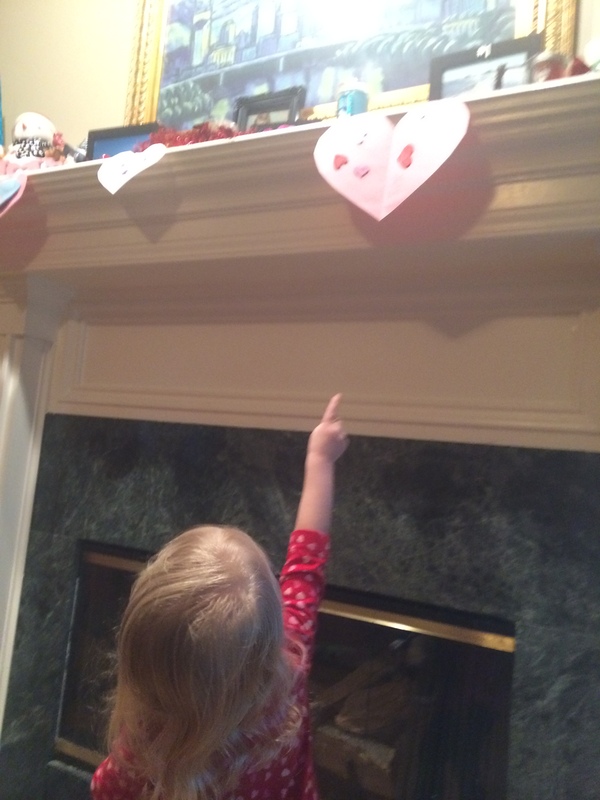 Abbi was really excited when she woke up on Friday morning and saw that I’d swapped out the mantle for Valentines Day and hung a lot of their artwork on the mantle. 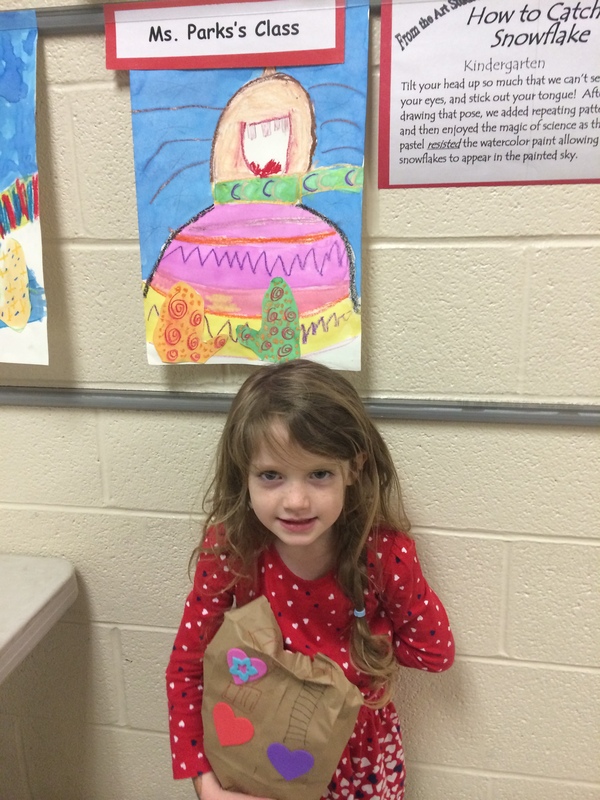 She gets so proud of all of her coloring and art! 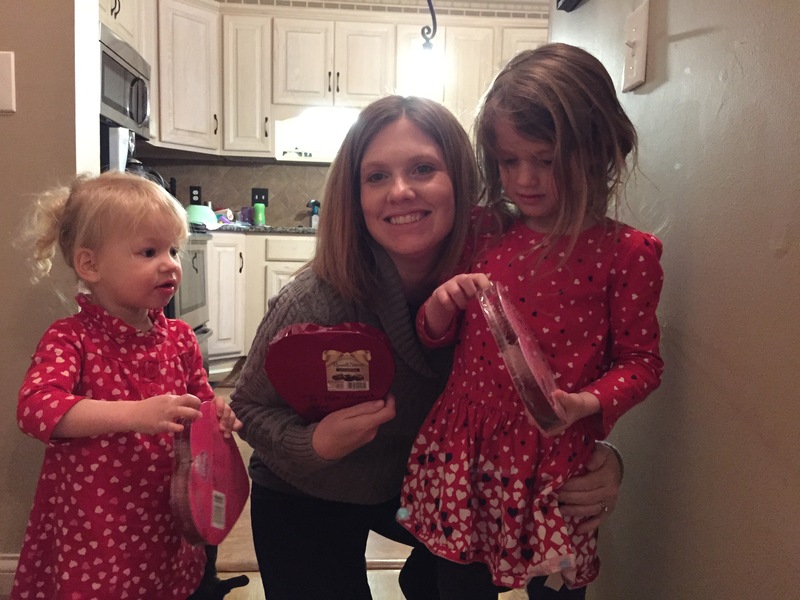 We were even able to make it to part of Abbi’s Valentines party before it was over, which is pretty rare for us to be able to do! 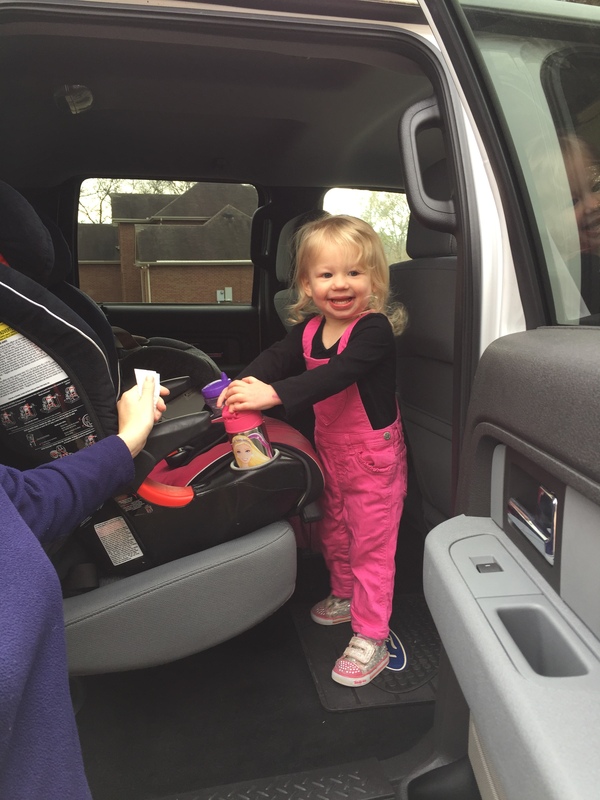 Lilli had a great time sitting in Abbi’s room enjoying snacks and playing with her little friends. And then we enjoyed an earlier afternoon at home – during which Abbi locked me and Olli outside when I was taking him out. 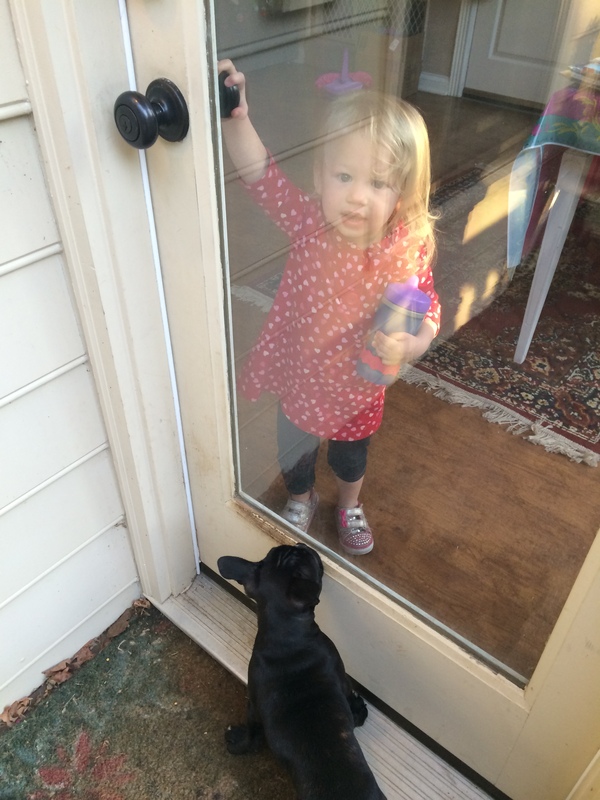 She loves to lock and unlock the doors and is constantly slipping out into the backyard. Brent brought home boxes of chocolate for all his ladies. I was the only one who could handle looking at the camera in all the excitement. And then Abbi started chasing Olli with her box. Because she is wild. We also had to hide it from her because she is a Candy Monster and will eat her box and every other box if it’s within reach of her dragging a chair over and climbing furniture. 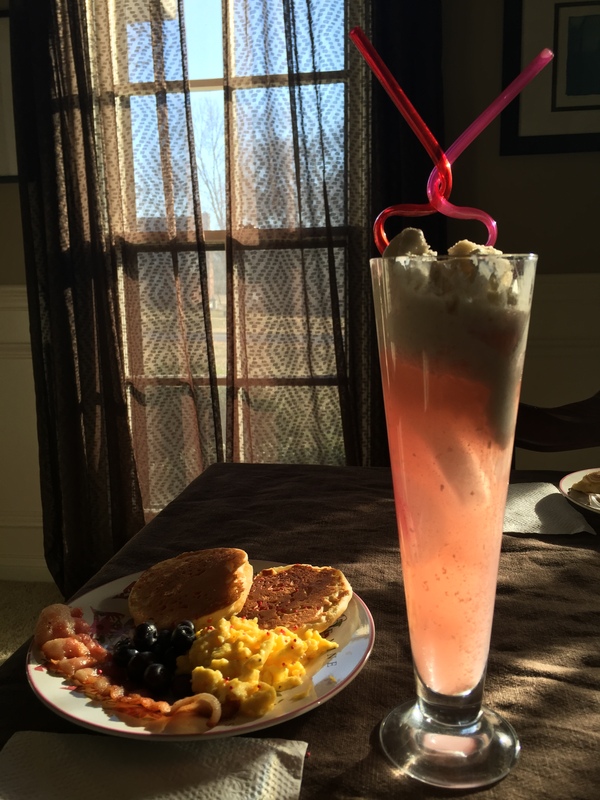 On Valentines morning we made Cupid shakes and had eggs with pink sprinkles, Valentines pancakes and bacon (with fruit.) Lilli wanted to know why everything had pink sprinkles on it – as if I need a reason? 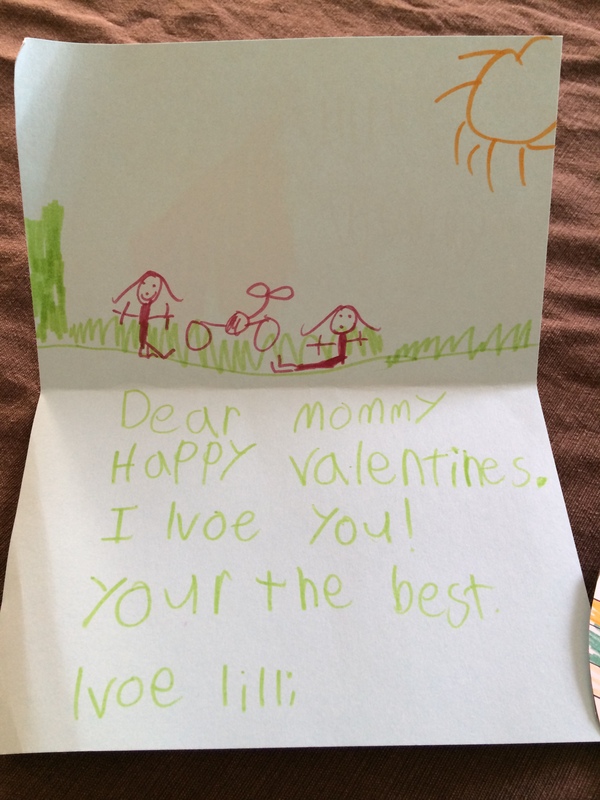 Lilli’s cards this year were the best. Mine has a picture of her falling off her bike and me helping her up. The funny thing is I don’t think she ever fell off her bike last summer! Once they left I got cracking on the piles and piles and piles of consignment waiting for me. 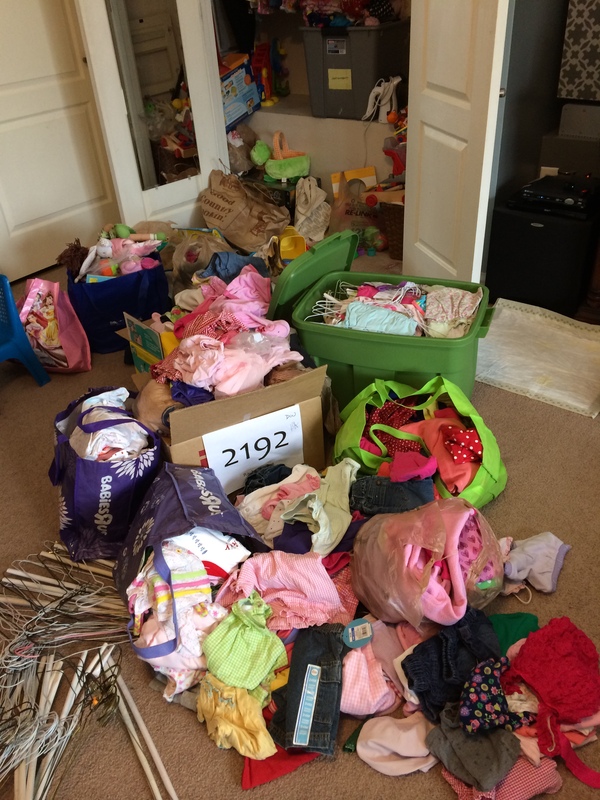 That’s just the summer things Abbi outgrew from last year, so 18 month and less summer items and some toys, tons of shoes and a few other baby items we don’t use anymore. Insane. 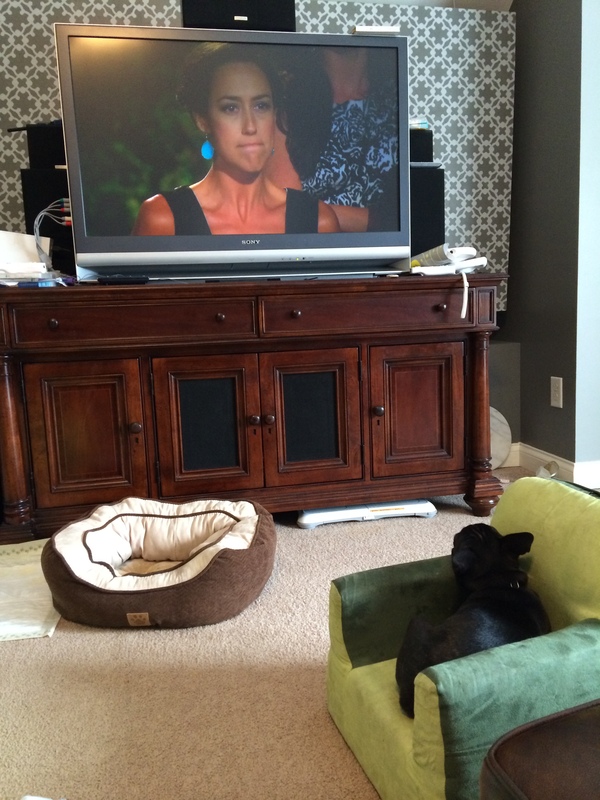 It did give Olli and I a chance to get caught up on the crazy girls from this season of the Bachelor. 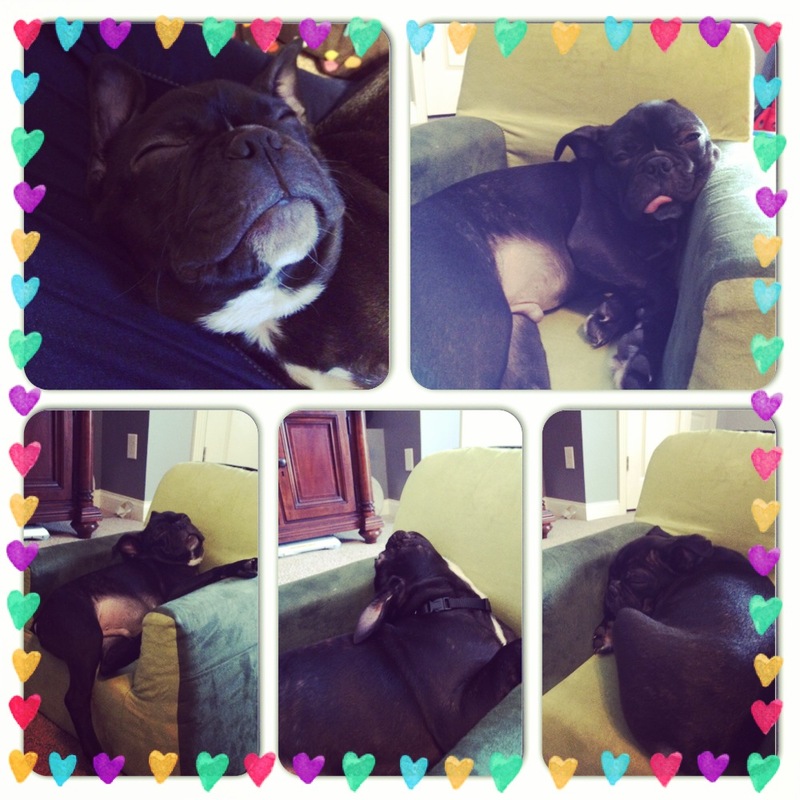 Olli was pretty bored with them, and found a variety of comfortable ways to snooze. 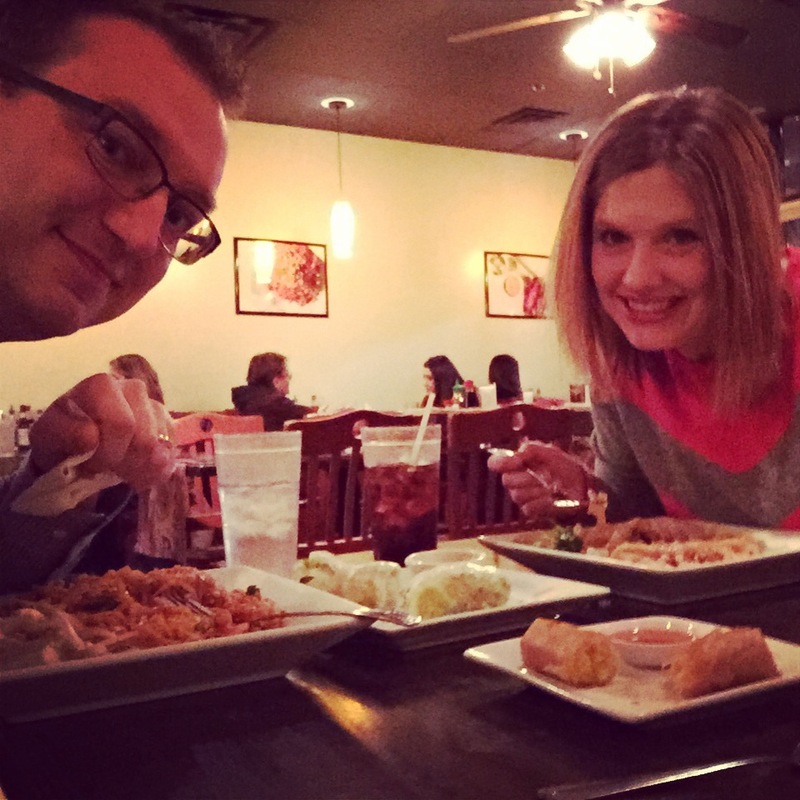 That night we actually went out for Valentines Dinner. And then remembered why we usually don’t. Every place was so crowded and just packed. 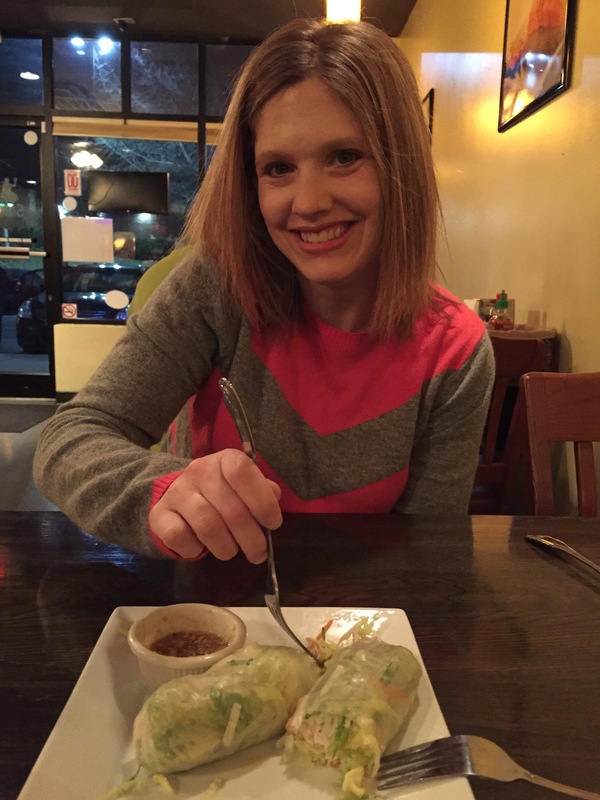 So we picked a fairly calm looking Thai place that ended up being delicious. Look! No one is crying or saying they didn’t want to eat that or declaring they’re all done as soon as the food arrives! And not once did either one of us fall out of our chair. Magic. Afterwards we did some shopping, grabbed some dessert and enjoyed the magical silence of our house! 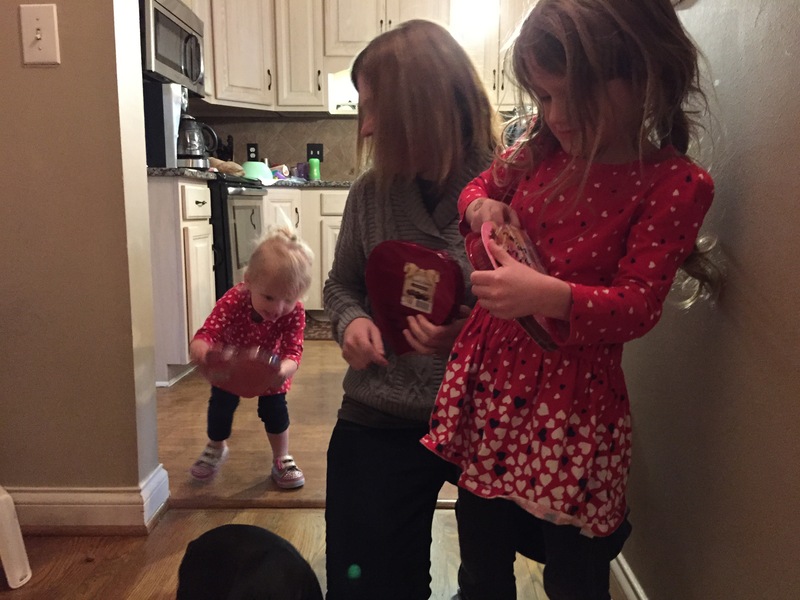 This entry was posted in Uncategorized and tagged Abbi, Consignment, frenchton, kindergarten, Lilli, olli, puppy, School Days, Valentines, valentines 2015, Winter, winter 15, winter 2015. Bookmark the permalink.